Whether you’re sorting laundry, loading the dishwasher, sweeping up, or organizing, if you’re doing it together, you’re teaching your children the value of caring for their home and enjoying important family time in the process. This can be easier said than done, though. How do you motivate a developing 3 year-old to clean up their toys or a stubborn 10 year-old to make their bed and put their clothes in their hamper? 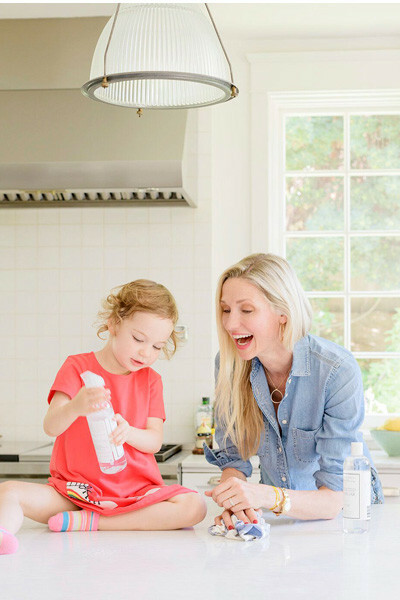 We tapped Catherine McCord of Weelicious to share tried-and-true ways she encourages her children to help with household chores. In our household, kids and cleaning go hand in hand. That is why it’s especially important that my family avoids exposure to harmful toxins and uses products that take excellent care of us, the things we love, and the environment. 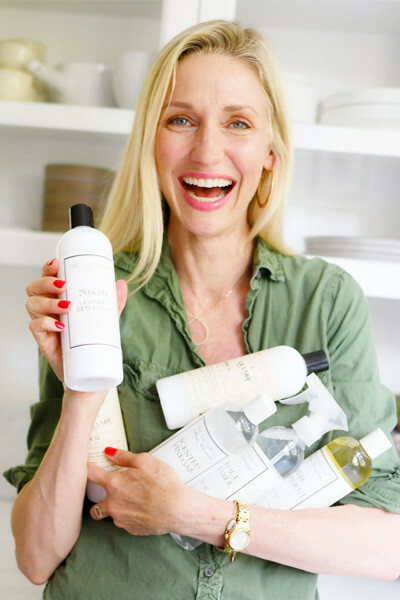 I’m a big fan of nontoxic cleaning products from The Laundress. They smell dreamy and most importantly, I know the ingredients won’t harm my little helpers. Read on to learn 8 ways we encourage our children to help with household chores. These have all worked time and time again for our family and I hope you find them just as helpful. Cleaning up means time together, which younger kids love. Doing chores as a team encourages younger kids to want to participate. Gemma loves helping out with laundry, especially when she can see the “magic” of the The Laundress Stain Solution removing stains from her clothes. When kids are working towards a goal (especially money) it can be a major motivator. 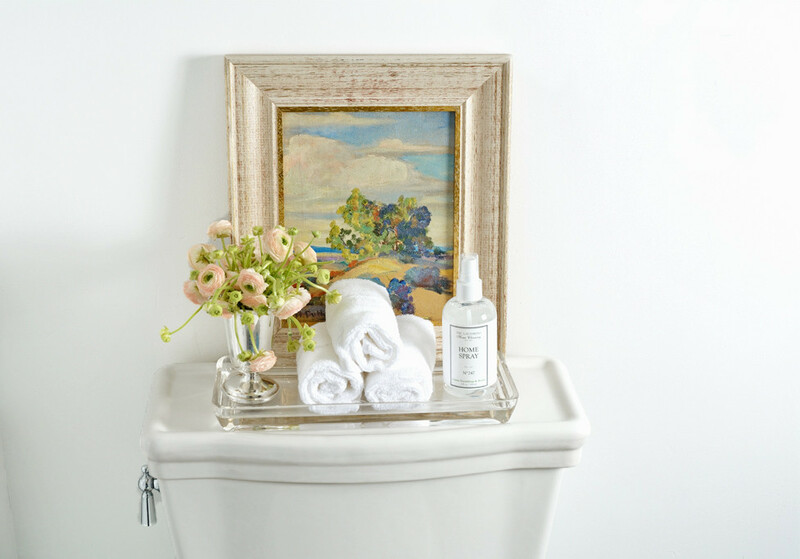 One of my family’s favorite chores is helping to clean the kitchen after dinner, especially wiping the counters down with The Laundress Scented Vinegar to eliminate food messes and odors. Make a list of a few chores that need to be done before the kids are allowed to watch TV or use the home WiFi. On Saturday mornings, my kids aren’t allowed any screen time until they have straightened up their bedrooms and bathroom. 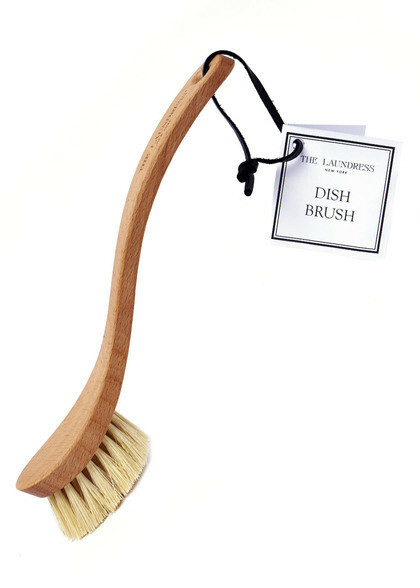 I hand them a bottle of The Laundress Surface Cleaner and let them go at it! Make a daily/weekly chore chart that is brightly colored and looks fun. Each time your child completes a chore, they get to place a sticker over that item. At the end of the week, if their chore chart is covered in stickers, they get a special treat like going out for ice cream. Print, fill out and let your kiddos color our chart here here. Make a game out of clean up time by singing a song. This is especially fun for younger kids. When we’re cleaning up a mess we sing “clean up, clean up, everybody, everywhere, clean up, clean up, everybody do your share.” You can make up games out of matching socks or time older kids who may be more interested in competing against the clock. Finding something that works for your kids and their interests can really help keep the process fun. Younger kids love doing what bigger people do. Encourage them to help, and give tons of praise when they do. Chloe has really gotten into doing dishes using The Laundress Dish Detergent and at the end I make sure she knows how much it means to me that she’s helped out. This makes her feel empowered to help again the next time. Sometimes, we’ll combine a race with a reward. For example, I’ll say the clothes need to be gathered and put into Mesh Washing Bags in 20 minutes. If they finish before the timer goes off, they get to stay up that many minutes later tonight. Or, if they go over the 20 minutes, bedtime is that many minutes earlier. Give your child a chore and give yourself a chore, explain how to do the chores properly, then race to see who gets their task done first. When you go to check your child's workmanship, let them also check (and critique!) yours. What are your tips and tricks? Share them in the comments below!